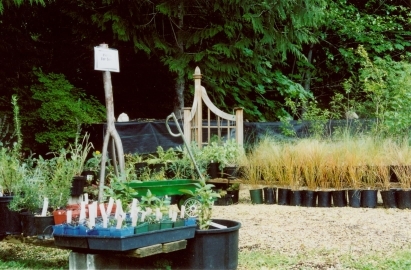 Mayo Creek Nursery offers a wide range of ground covers, shrubs, trees, and bulbs for sale. Rhododendrons are of prime interest, with over 20 different varieties of hybrids and many species available. Over 15 varieties of ornamental grasses, and more than 12 species of lilies are also on hand. All native plant material is propagated onsite.